Any one headed out tomorrow out of St Aug? Checked several deep spots last week with promise... Viz and numbers were good so I have high hopes for a handful of bugs tomorrow. We are in the lower Keys, looking pretty good for hopefully a nice haul. Always exciting and wishing you success out of St. Augustine, never tried it up there. I used to get excited about it, not so much anymore but I still do it and usually limit out (12 pp) out of Broward. As I get older it becomes more like a chore. I am going tomorrow though, will skip Thursday and hit it again on opening day of the regular season. We had a great first day and not so bad second. Slowly recuperating today and have multiple tails for the freezer, yay! I would imagine that you get some big ones off St. Auggy! Thanks for the perspective. 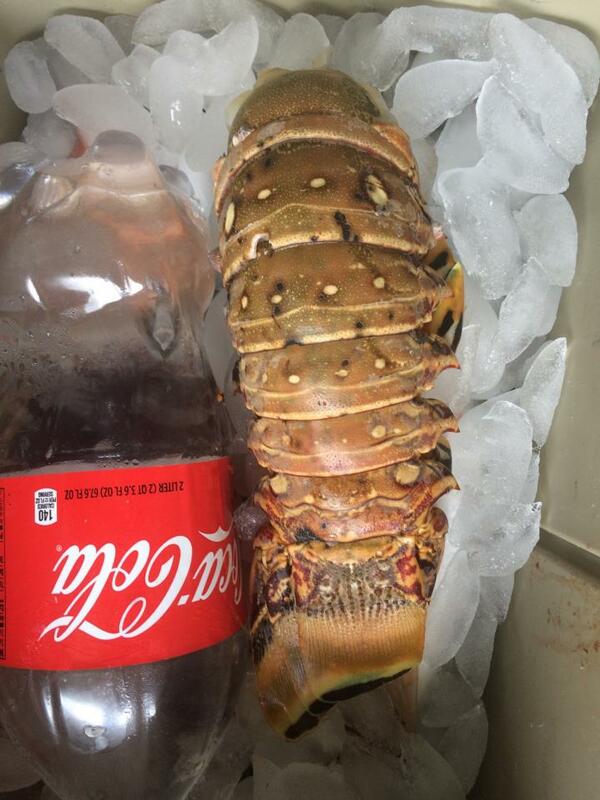 My longest in the Keys this mini season had heads just over 4 inches and tails nowhere near as large as the 2 liter Coke! In fact, in years of diving in the Keys I did catch one 4.5 pounder, but that was only once.